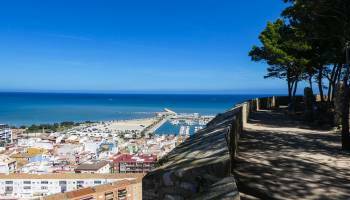 If you are thinking that the Costa Blanca North is the ideal place to live and maybe you would like to purchase a property here, our real estate agency Compare Properties Spain offers you this totally free new product: "Orientation Tours for the Costa Blanca North". If you would like to enjoy getting to know a given area prior to searching for properties, we would like to offer you the possibility of making a trip with us in the form of an Orientation Tour, without any cost to you in relation to the tour itself through the most emblematic places of the Costa Blanca North. We want you to know before you purchase your new home all the possibilities that the location has to offer, the services, the leisure activities, the intrastucture, the natural landscapes, the beaches ... and of course the properties as a guide for your future home. It is a service created primarily for foreign customers who do not know our region very well and want to get to know the location prior to purchasing. At the end of the day, location is everything when buying your new home. These routes include towns such as Moraira, Jávea, Benissa, Calpe, Altea, Albir, Alfaz, La Nucía, El Campello, Denia, the valleys of Orba and Jalón, Benitachell, Jesús Pobre, Gata and all the small towns around . After a first telephone contact or via email, we will initiate a conversation with you, guaranteeing total discretion, as a means of getting to know you, your preference in property type and an inital guide to location, in order to personalize your Orientation Tour. On the agreed days we will pick you up at your accommodation to make our scheduled visits and we can even guide you in organizing your free time, if you wish. For our part, we consider it highly advisable to carry out the Orientation Tours, although it is done without a commitment to purchase. We do this free of charge as our clients are loyal to us and once they have enjoyed our level of service and chosen a given area, our clients purchase through us offering them the full package. As an extra to this service we will assist you during the entire process that involves a purchase (legal advice, tax obligations, banking procedures, mortgage advice and orientation, obtaining the NIE certificate, etc.). 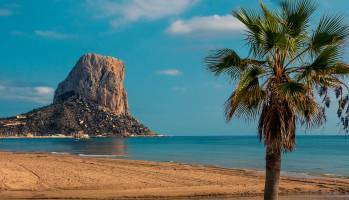 Living on the Spanish North Costa Blanca is enjoying paradise all year round. 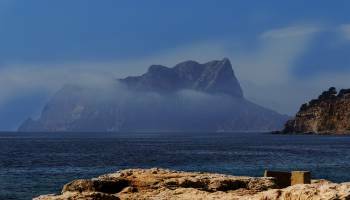 With an average annual temperature of 20 degrees and a very low level of rainfall, the Costa Blanca is the ideal place to enjoy the outdoors at all times. It offers a wide variety of natural environments such as extensive beaches of golden sands, unrivaled blue water coves, cliffs and mountain areas with their characteristic Mediterranean pine forests of spectacular beauty. All this sprinkled of diverse populations that offer endless opportunities to enjoy a comfortable and quiet life, with innumerable possibilities of leisure, as well as diverse patronal celebrations. Its mild winters allow all kinds of sports activities, both aquatic in its exclusive nautical sports clubs (sailing, rowing, diving, ...) and in the accredited golf or tennis clubs that dot the entire region, as well as travel through its interesting hiking or biking trails worth visiting places. We must not forget the important and varied cultural offer offered by the Costa Blanca North, with its history, art, monuments, because it is an area of continuous settlements throughout history, whose origins amount to the Neolithic. What other services does Compare Properties offer? Our main goal is customer satisfaction. That's why we keep updating ourselves constantly and now we have launched the service "Orientation Tours". We give a personalized service to the seller, so that he knows that his property is commercialized to the maximum. Also to the buyer, accompanying him and guiding him throughout the purchase process. In summary, we provide all the necessary services both during the purchase process and later. We will assist you as you deserve, with enthusiasm and determination. 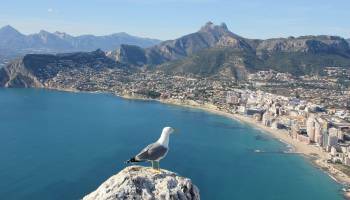 Our offices are located in Jávea, Avenida del Pla, nº 130 – Oficina 202 A – CP 03730 (Alicante). You can call us at (0034) 966 471 283 - (0034) 634 329 574. Please, take the liberty to read in Google the comments that our clients make about our services that confirm our professionalism. Thank you.